You may recall my recent post, here outlining my struggle with whether or not to carry a concealed firearm on a regular basis, despite having a permit for several years. You may have also read here the excellent response and encouragement I received from Kathy Jackson of The Cornered Cat. Kathy’s advice really helped clarify for me what it was I wanted, and that I definitely did need some instruction specific to self-defense. Unfortunately, the existing dates for Kathy’s Cornered Cat classes did not coincide well with my schedule. Knowing myself the way I do, I decided that I needed to strike while the motivational iron was hot, and get signed up for self-defense instruction before I got cold feet. Thus, I found an open slot in the 250 Defensive Pistol class at Gunsite Academy, and grabbed it. Those of you who are familiar with Gunsite know of its stellar reputation. 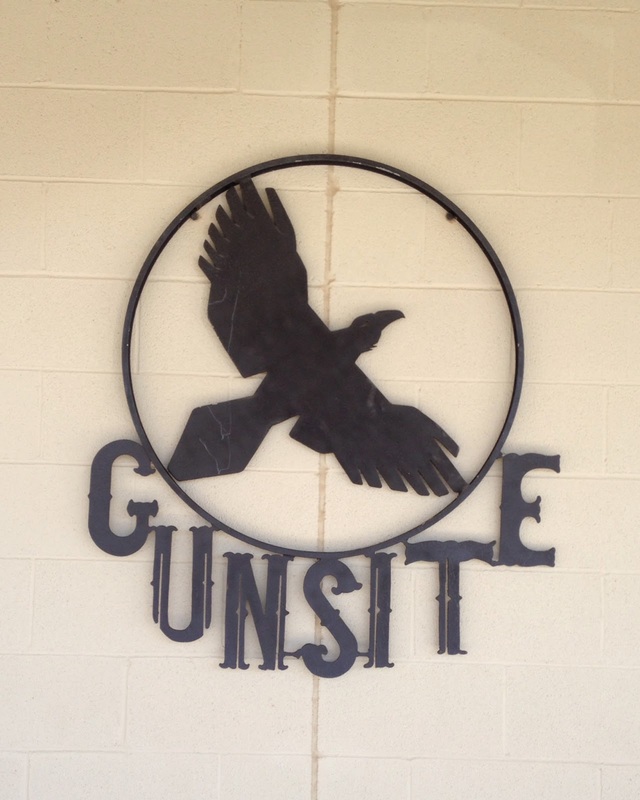 For those of you that don’t know, Gunsite is among the premier (if not THE premier) firearms training facilities in the country. I was initially a bit hesitant, given their reputation. I was afraid that I might be placed in a class full of law enforcement or military, and be in over my head. But a few emails back and forth with Karen, the class coordinator, eased my mind. I may have a few years of IDPA and USPSA pistol under my gunbelt, but this 50-year old out-of-shape female pediatrician can in no way be mistaken for an “operator” LOL! I also do not function well in an adversarial environment. I don’t always need actual hand-holding, but I don’t learn well by being barked at, either. These fears were also eased by the emails with Karen. She assured me that this training experience would not be “boot camp”, and I did not need to be Tammy Tactical. With those concerns thus assuaged, I signed up. 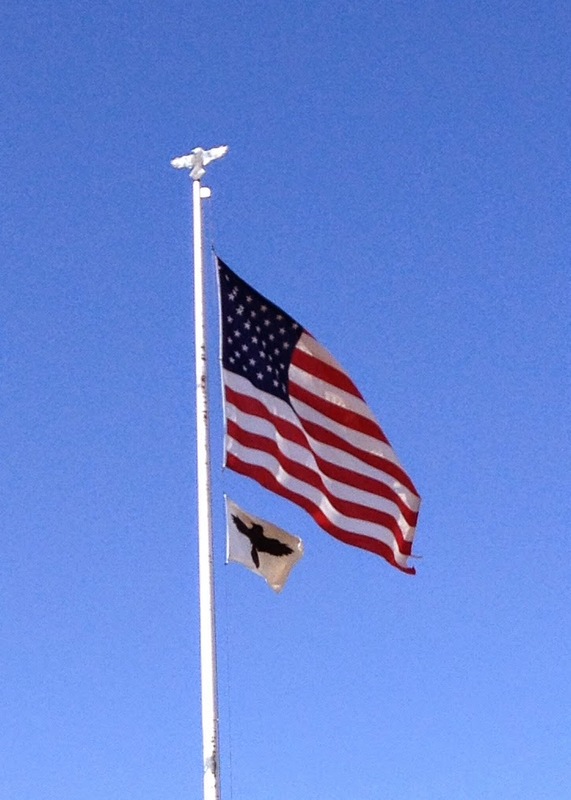 Given that Gunsite is in Arizona, and I am in an Appalachian state, I knew I was going to have to fly with my firearm. Information and planning were in order, and I only had 3 weeks to do it. The class was to be 5 days long, and I knew the amount of ammo I was going to need would exceed the airlines’ pound limit, so I solved that problem with a credit card – I bought Gunsite’s ammo package, and erased that worry from my mind. That was easy. The next issue was to decide which gun to take to class. Gunsite does offer rentals, but I wanted to use one of my own guns that I was already familiar with. 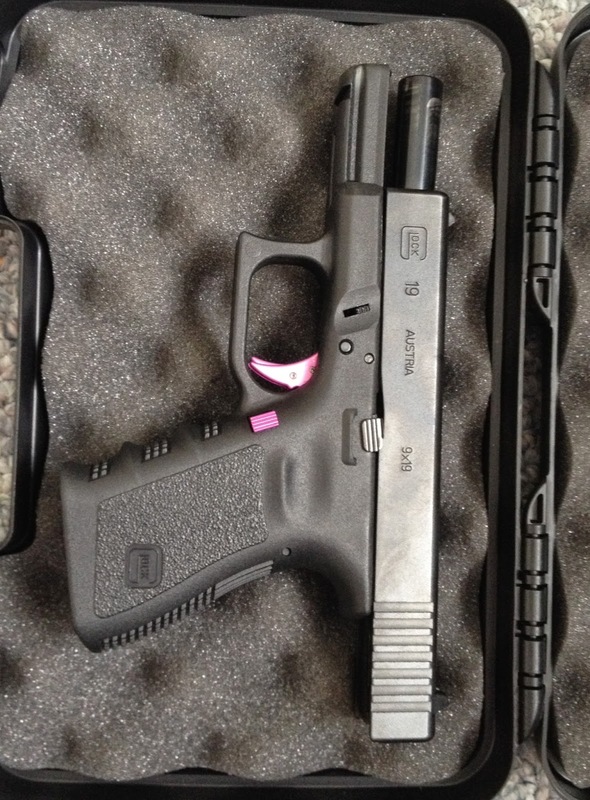 I would have loved to take my Glock 42, but the caliber was too small for class, and it only came with two magazines. (Though it looks like Gunsite does offer a separate class for pocket guns, that I may consider for another time). I also did not want to take my S&W M&P “match gun”, as that is a full-size 9mm, and has had some extra work done on it. I wanted to train with a gun that was going to feel similar to what I wanted to carry. So, I settled on my Glock 19. She was my very first gun, and I knew she was reliable and comfortable to shoot. I also knew that Gunsite has an on site gunsmithy that is available if students have a mechanical issue while they are in class. That was reassuring. Since my Gen3 Glock 19 was still an out-of-the-box gun, and has had several thousand rounds through her over the past five years, I decided to give her a facelift before we went to class. I ordered an extended magazine release, and a new trigger – both in pink – from GunGoddess.com , and a friend from the club who is a Glock armorer, installed them for me. It was actually an education watching him work, because apparently there are places that I can’t reach when I’m cleaning that really needed to be cleaned after those thousands of rounds. Eeek! I had the gun and ammo all lined up, but I needed a refresher on flying with such things, since I’d only done it once before (to Louisiana for Babes With Bullets), so I printed out the TSA guidelines, and also the guidelines for my airline since they aren’t always the same. And here is a traveler’s tip that I realized was the best idea I had all week. I had the brilliant idea of packing my range clothes in 2 gallon ziplock bags – one bag for each set/day. I was rewarded for my brilliance when the TSA guy had to move everything out and around as he swabbed the inside of the suitcase. The ziplocks all stayed organized and fit right back into place when he was finished. No underwear strewn all over the security table! Yay!! Trust me – nobody wants to see that. Before I start talking about the class itself, I should point out that this experience was booked and paid for by me personally. I took this class strictly out of a desire to improve myself. I have no sponsors, and I am not beholden to any advertisers. I just had such a great experience, that I wanted to share it, and let other women (especially women my age) know that this IS something that you are capable of, and will gain a great deal from. 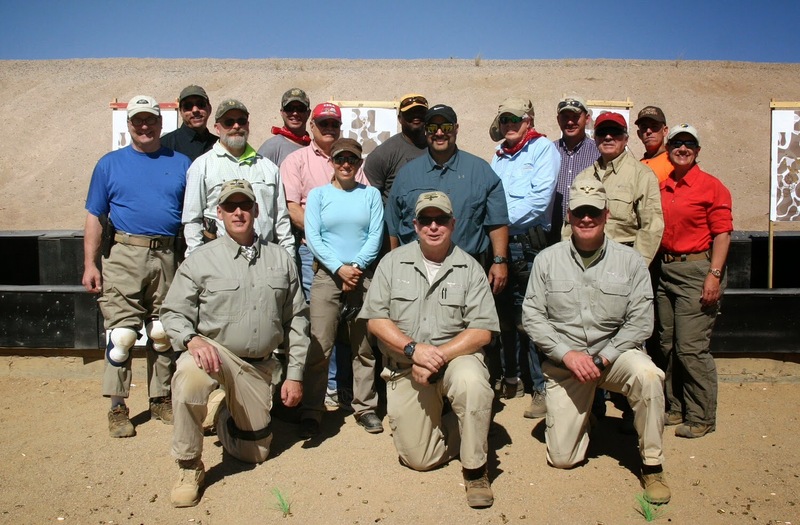 I took the 5 Day 250 Pistol Course, although they do offer a shorter 150 level Ladies Only class as well. This was a self-defense with a pistol course. It was NOT a competition or “game” course, and it was exactly what I needed. Although the training simulations could be considered a “game”, the goals were completely different. I discovered this to my chagrin in the shoot house. I have become conditioned by USPSA and IDPA into shooting virtually every target, and those that I’m not supposed to shoot are either a different color, or have “surrender hands” painted on them. It was a completely new and educational experience to encounter targets that I shot – only to realize that it was a finger or other object pointing at me and NOT a gun — Sobering. But I suppose I learned more by making those mistakes, than if I had just breezed through with a perfect evaluation. Education was what I was after, and education is what I got. And as a bonus, I enjoyed myself in the process. Not only did we reinforce the basics in this class, but we were introduced to some “cool” stuff too. I already mentioned the shoot house (indoor simulator), but there were outdoor simulators too. Additionally, there was shooting by moonlight, and an introduction to shooting with a flashlight. I had never done any of that before, and it was a little intimidating, but also very exciting. Now, I don’t want to give the impression that just because I enjoyed myself, that this class was “easy”. It was not. It involved a great deal of hard work, repetition, mental concentration, dust eating, sore muscles, gatorade, a willingness to let go of old habits, and a desire to push my personal comfort zone. But it was worth every ounce of effort, and I was positively reinforced and encouraged at every turn. Up until this point, my firearms have been “sporting equipment” to me – a tool I used to play a game. After this week, I feel much more confident that if called upon, I could use that tool to defend my life. I haven’t had that feeling before now. I absolutely need more training and ongoing practice to continue to reinforce my new skills, but I feel much more comfortable with the idea of daily carry now than I did only a week ago. In fact, I went shopping fully armed on Sunday when I got back, and I’ve never done that before. 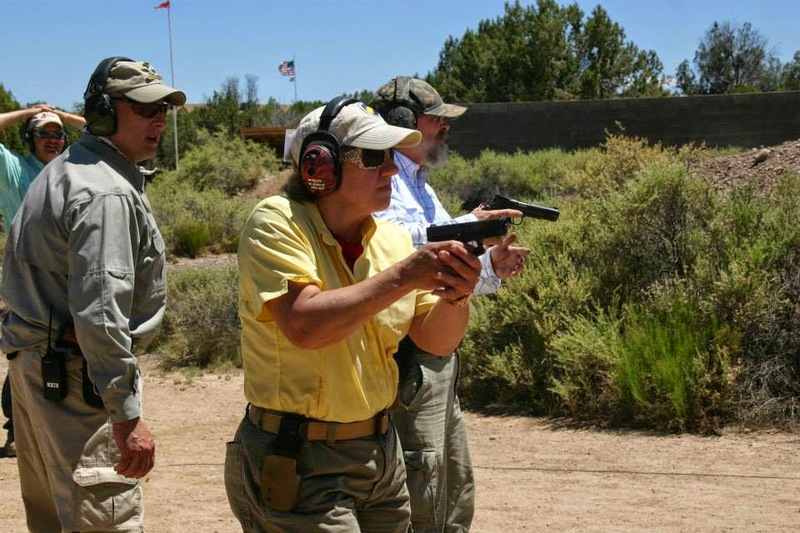 I can recommend Gunsite unreservedly to any woman who wants to be sure she gets world-class firearms defense training. The instructors have outstanding credentials, and even more essentially — teaching skills. 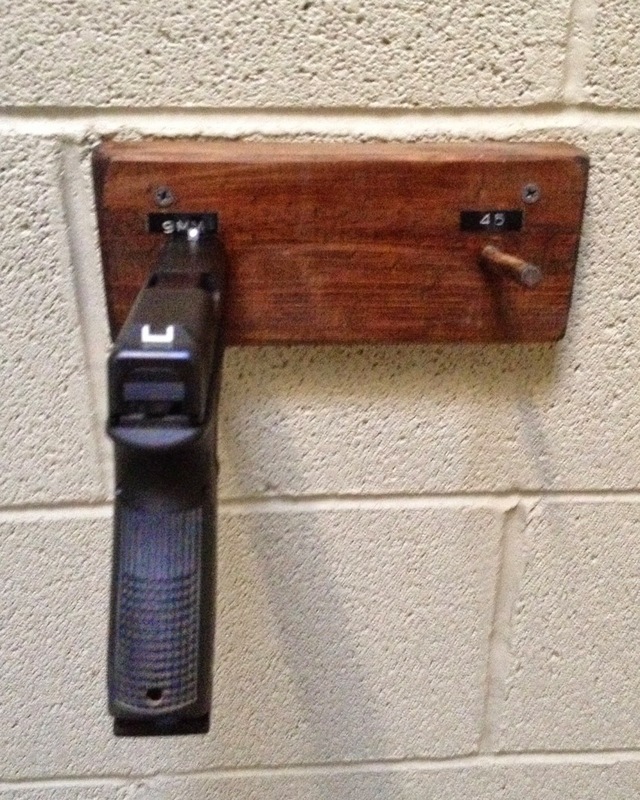 … and gun pegs in the bathrooms! Thanks so much to everyone at Gunsite, but especially my instructors Ken, Joe and Scott, (and Mike in the Funhouse) from whom I learned an incredible amount in a very short period of time. I’d also like to flash the “Gunsite Gang Sign” to all of my classmates, who were such a great group to learn with. It was a pleasure shooting with you. Even though I’m still not Tammy Tactical, I will definitely be back! What a hoot… I was in this class! Been back twice since and heading out again soon! What classes have you taken since? I have not given up on getting back out there – maybe for tactical carbine or shotgun.